Just a week ago we celebrated the Feast of Pentecost, the day the apostles received the Holy Spirit in the company of the Blessed Mother. On that day the Church was born. As Peter spoke of the mighty works of God in his own language, people speaking various other tongues understood him completely. God was bringing together people of every race, language and culture into His family of faith. Often I marvel at the gift that I have been given. Growing up in India where more than 90 percent of the population is either Hindu or Moslem, I was privileged to be born into a devout Catholic family. Thanks to the Jesuit missionaries (including Blessed John de Britto) who preached the gospel to my ancestors in the second half of the sixteenth century, I too am part of this one, holy, catholic, apostolic Church. I am profoundly grateful for this gift. Since we identify so strongly with our parish, it is easy to forget that we form a part of a much larger whole. Often we have to remind ourselves that the Church is bigger than our parish, greater than our archdiocese. We are part of the Church that extends beyond our geographic and temporal boundaries. We are part of something bigger than ourselves. We owe much not only to those who came before us but also to those who will come after us. There is an unbroken continuity between the past and the future. 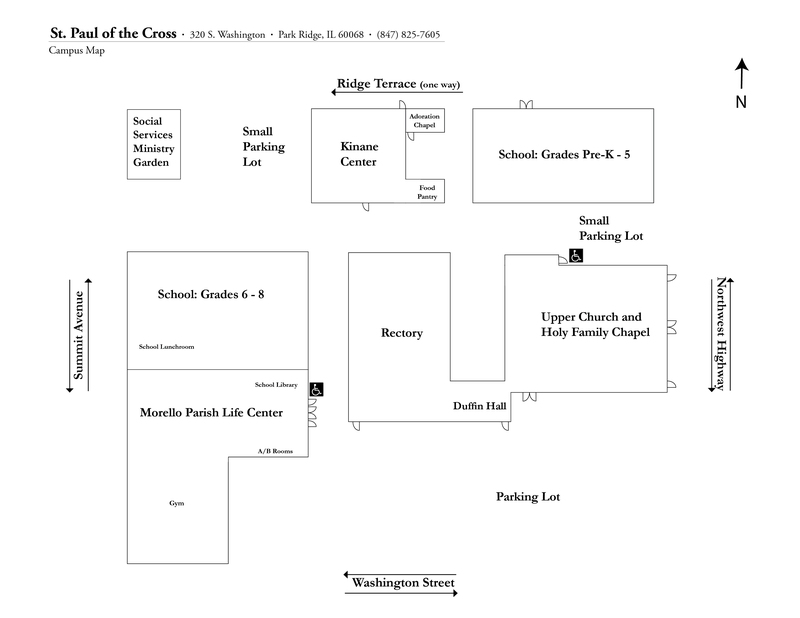 The Church that traces her origins back to Jesus Christ Himself makes herself present in the community of Park Ridge in and through St Paul of the Cross Parish. It is the larger Church that guarantees this continuity. It is not one pastor or the other. It is not the present group of parishioners or some other group from the past. It is the universal Church that ensures that we, as the local church, continue to be Church. It is in being communion with this larger Church that we have legitimacy and efficacy. We are part of a grander history and at the same we are privileged to be making history. Sometimes we may be tempted to consider ourselves to be separate from the larger Church and the detours she sometimes takes in response to the promptings of the Holy Spirit. I am aware that in recent years our faith in the institutional Church has been shaken. Many of her sins have been brought into bold relief, especially in our country. We must remember that our Church is both human and divine, sinner and saint. We are aware of her sins and failures. At the same time, we are also deeply conscious of the holiness and the beauty of this Church. We are proud of her rich tradition, of her long line of saints and sages, of her band of ministers and servants of the poor. We believe in her because Christ is with her and will never abandon her. Sometimes you may feel upset with the Church, and rightly so. In those moments perhaps you can remember that the Holy Spirit guides the Church at all times and the Lord will never give up on her. Human beings do make mistakes and even commit sins. God, however, works out His plan of salvation in spite of our faults and failures. This is His Church and God will ensure that His plan of salvation continues to be realized in and through this Church. Then too…where would I go? To build another church? But I could not build one without the same defects, for they are my defects, and again, if I were to build another church, it would be my church, not Christ’s church. No, I am old enough. I know better. Let us work together to make St Paul of the Cross an even stronger Catholic parish. Hopefully our ancestors and those who come after us will feel proud of us. More importantly, we hope that the Lord will be pleased with our efforts.